The Hamilton nightstand works perfectly as a night table for a reading lamp and a clock. 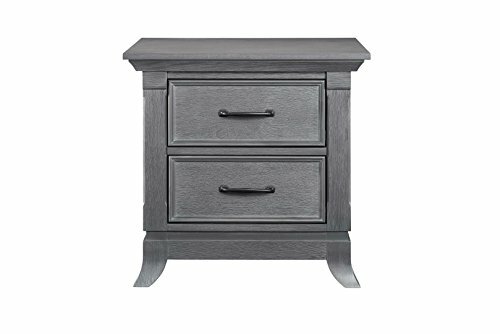 The nightstand drawers have under mount soft closing drawer glides along with English dovetail construction. The top drawer has a felt lined inner drawer bottom. If you have any questions about this product by Ozlo Baby, contact us by completing and submitting the form below. If you are looking for a specif part number, please include it with your message.